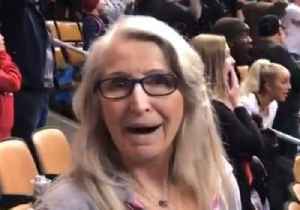 One News Page > News Videos > WATCH Steph Curry's Hot Mom Knocks Down INSANE Underhanded Half-Court Shot! 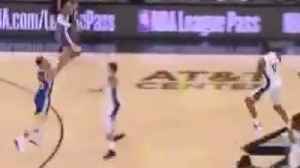 WATCH Steph Curry's Hot Mom Knocks Down INSANE Underhanded Half-Court Shot! During All Star Weekend the family was helping a Curry Family Foundation event. The foundation helps local non-profit organizations in their efforts to improve the lives of endangered children and other disadvantaged people, to promote cultural enrichment and provide educational opportunities. During the event, the family divided into four teams. 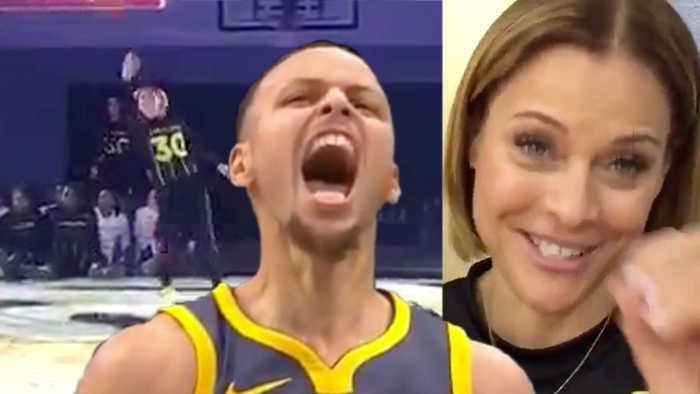 Sonya and Dell were up against, Steph and his wife Ieshia, Seth partnered with his girlfriend Callie Rivers, and Golden State warriors guard Damion Lee partnered with his wife. Who also happens to be Steph and Seth’s sister Sydel. Now I have learned no matter what, if my mom says it, it’s probably right. So the fact that Sonya Curry won the belt with this underhanded half hour shot should come as no real surprise. She said she was going to do it.